C-Suite Resources executive vice president, Jerry Nye, has worked in healthcare administration since graduating with a Masters Degree from the University of Minnesota Healthcare Administration Program in 1977. During the course of his career, he has served in senior management and executive roles with academic medical centers, faculty practice plans, community hospitals and hospital/physician joint ventures. Prior to joining C-Suite, Nye spent more than 10 years with Integrated Healthcare Strategies, a Minneapolis-based consulting firm specializing in executive and physician compensation and benefits. Over the course of his career with Integrated Healthcare Strategies, he was involved in business development and consulted in areas including executive and physician compensation and benefits; governance and leadership development and human capital development. He also served as senior vice president of the Minneapolis office reporting directly to the president of the firm and overseeing the operations of the consulting and benefits administration for five years. Nye co-founded and served as president of the Profile Group, which consulted with hospitals and medical groups on issues related to CPT/ICD-9 coding and medical record documentation, billing and compliance. The firm worked nationally with large and small organizations including Mayo Clinic, Allina, HealthPartners, Lovelace Medical Center, CareMark, Mt. Sinai Chicago and Health Midwest. In 1996, the Profile Group was acquired by MMI Companies of Chicago, which provided malpractice insurance and risk management services to more than 900 hospitals across the nation. The Profile Group served an important role in helping healthcare providers reduce business and clinical risk by improving the quality of data that was used for billing, financial and clinical decision-making and reporting. Nye has served as a board member for a large not-for-profit medical group located in the Minneapolis/St. Paul region. 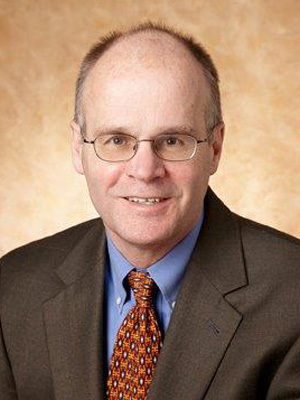 He has served as an adjunct instructor and preceptor for the University of Minnesota Program in Healthcare Administration, School of Public Health, and currently serves on the board of directors for its Alumni Association.